ürün kategorisi H Ground Screw, biz Çin uzman üreticileri, H Ground Screw Galvanized H Ground Screw tedarikçiler / fabrika, toptan yüksek kaliteli ürünleri Durable H Ground Screw Ar-Ge ve üretim, biz kusursuz hizmet ve teknik destek satış sonrası. işbirliği için sabırsızlanıyoruz! H ground screw, one name of helical ground screw piles, is named by ours and it can be called ground screw with helical blade, ground screw pile and screw pile. The type of ground screw is usually exported in Estonia, Russia, Canada and America. The blade of helical ground screw is not consequent and it is single one or two blade in steel pipe. The blade of screw pile has two or three strengthen sheets on below of nuts and the quantity of nuts can be different according to your needs and the structure of ground screw machine. 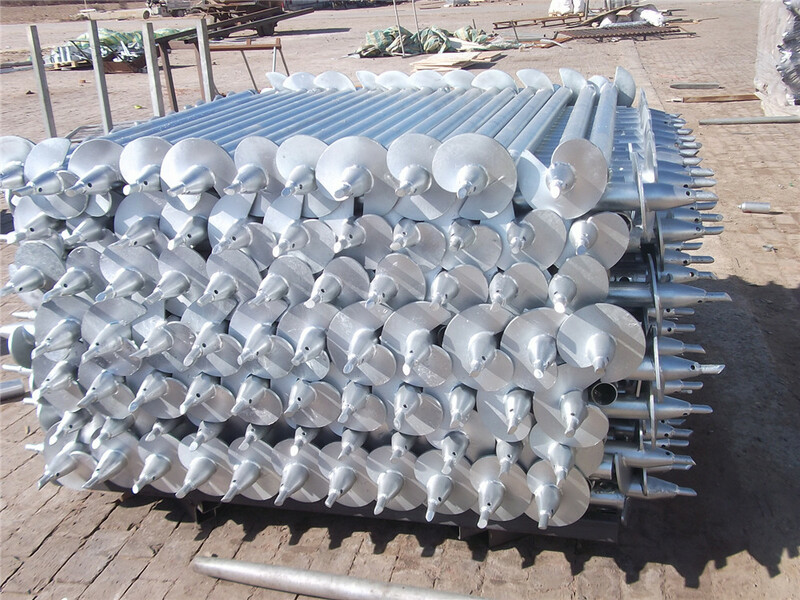 In addition, the top shape of screw pile can not same, which can be round or sharp.